iOS 10 – The biggest iOS release yet. Did you upgrade your iPhone, iPad or iPod? or willing to upgrade? Otherwise new iPhone 7 / 7 Plus user? Whatever if you are Cydia lover, here’s an latest update on the iOS 10 / 10.0.1 jailbreak you are searching for. 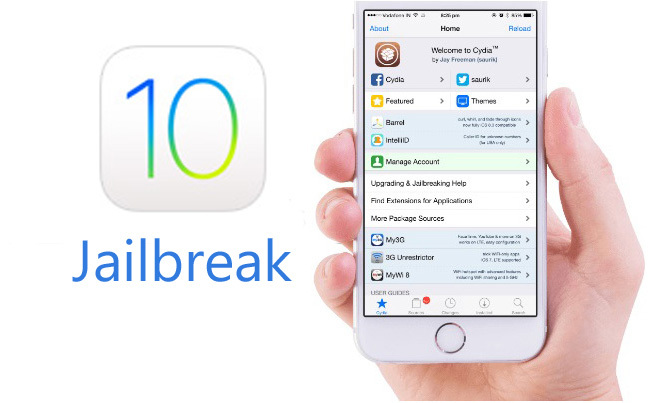 Get an answer your all questions about Cydia for iOS 10 here..
Apple has added number of jailbreak features with new iOS 10 update. So, what is the reason peoples are still want to download Cydia for their devices with iOS 10 features. Answer is clear, that is about freedom. Apple has given more great features integrated with iOS 10 but, not freedom for user to customize the device as they wish. So, Cydia iOS 10 / 10.0.1 will give that opportunity to iDevice users using iOS 10 jailbreak. Can i download Cydia for my iOS 10 / 10.0.1 iPhone, iPad or iPad right now? No, you are still unable to get Cydia for iOS 9.3.4 & later versions. Because, iOS 10 jailbreak not yet released for the public. This mean, it is impossible to jailbreak iOS 10 version? No, we have more stories to prove Cydia for iOS 10 jailbreak is more positively possible. The Italian hacker, Luca Todesco has successfully demonstrated Cydia on iOS 10.0.1 with yaluX jailbreak. He shows working mobile substrate with code injection for iOS 10.0.1 jailbreak. This is the Luca’s first jailbreak attempt for iOS 10. He demonstrated Cydia on iOS 10 running iPad in a video. At 2dn Mobile Security Conforence [MOSEC], Pangu Team demonstrated Cydia on iOS 10 & hinted about the iOS 9.2 – 9.3.3 jailbreak. After, Pangu released iOS 9.3.3 – 9.2 jailbreak for the public. iPhone 7 has been jailbroken! 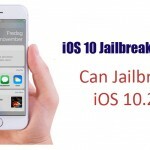 – Read full story..
iOS 10.1 / 10.1.1 has been jailbroken.! – Read More.. It is iOS 9.3.3. The latest iOS version that can jailbreak by Pangu is iOS 9.3.3. Pangu can not be used to Cydia download for iOS 9.3.4, 9.3.5 or iOS 10 this moment. iOS 9.3.3 or lower users -If you loves Cydia, please DO NOT UPDATE your firmware. 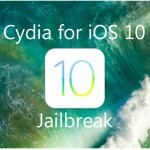 jailbreak & Cydia still not support iOS 10 as well as iOS 9.3.4 & 9.3.5 running devices. If you are already jailbroken, recommend to install Cydia Eraser right now on your device. Then, you will be able to safely restore your device without loosing jailbreak ability if you face some error with Cydia in future. Are you not yet install Cydia for your device? Pangu still supports to jailbreak iOS up to 9.3.3. You can find jailbreak instructions below for your Cydia installation. iOS 9.3.4 / 9.3.5 users – Recommend to upgrade your device to latest iOS 10 firmware. you are no longer possible downgrade to iOS 9.3.3, because Apple has stopped signing iOS 9.3.3. Pangu will NOT release jailbreak for iOS 9.3.4 / 9.3.5 & they are working on new iOS 10 jailbreak. Therefore it is better to install iOS 10 for your device at this moment. Pangu will release jailbreak for iOS 10 soon in near future. Touch with us, Follow us on Twitter, add us to your circle on Google+ or like our Facebook page for latest news update with Cydia – jailbreak. Yes. It will be available soon..
Wait… iOS 10 cydia installation is with beta stage now. Please backup your device before use jailbreak tool for iOS 10. We are unable to give download link, Because jailbreak not released for iOS 10. Still not released for public. iOS 9.3.4 – 10.1.1 users have to wait until jailbreak release. You can see device is detecting by Cydia Helper. Please follow instructions to install Cydia. Keep in mind, Cydia is a free application. Do not need to pay for install Cydia.